Two media stories published last month ventured behind the scenes of the successful negotiations over Iran's nuclear program and lifting sanctions, revealing the great efforts made by both the Iranian government and the Obama administration to reach a deal. Embedded within these scoops, however, are (at least) two vital bits of information that haven't garnered much attention, despite the fact that they effectively bust a number of the most popular myths about the Iranian nuclear program and the effect of international sanctions. On August 1, an exclusive published by Islamic Republic of Iran Broadcasting (IRIB) revealed details of an off-the-record conversation about the Iran deal between Iranian Deputy Foreign Minister Abbas Araghchi, who served as the country's lead nuclear negotiator for the past two years, and IRIB directors that occurred in late July. The scoop was quickly retracted and removed from the IRIB website, but not before other outlets had already picked up the news. IranWire published excerpts from the story on August 3, showing Araghchi defending the Iran deal and offering a rare glimpse at the closed-door comments of a top Iranian official about Iran's nuclear program and government policymaking. "The main demand of the other side was to block Iran from getting nuclear weapons … We had no problem with that, and granted it to the enemy …meaning that we provided trust, trust that we will not be moving towards the bomb. We granted this to the other side in two ways, by accepting certain limitations and certain supervisions. The other side got what it wanted and can say that they prevented an Iranian atomic bomb." By being able to declare that the deal has "prevented an Iranian atomic bomb," Araghchi explains here that the Americans achieved their primary goal. But for Iran, he notes, this wasn't a concession at all - in fact, it was already longstanding Iranian policy. "We gave up an atomic bomb, a bomb which we did not want and considered forbidden," Araghchi said. Remember, this was not a statement delivered publicly and expected to be reported. This is the private commentary of a senior Iranian official affirming the government position that nuclear weapons are not only strategically and geopolitically obsolete, but also ethically abhorrent and religiously prohibited. Even the nonpartisan Center for Arms Control and Non-Proliferation expressed some doubts about the economic blockade, saying its effects, which have included a fall in oil production, a collapse in the value of the Iranian currency, and a big jump in inflation, were mainly hitting ordinary Iranians rather than the country’s leaders. It wasn't until the European Union joined the U.S. oil embargo on Iran and froze assets related to Iran's central bank in 2012 that sanctions supporters say they saw real results. A Council on Foreign Relations sanctions primer notes, "A year prior to its 2012 oil embargo, the EU was the largest importer of Iranian oil, averaging 600,000 barrels per day, according to the CRS." Cassidy credited the EU sanctions with turning the tide on Iran's willingness to talk and accept concessions on its program, writing that "once the European Union, Iran's largest trading partner, agreed to join the United States in ratcheting up the pressure, they proved effective in pretty short order." He doubled-down on this conclusion this past week. But the truth is that Iran was already at the negotiating table, and had been on and off for a decade already. Its proposals have consistently offered a severe reduction in enrichment capacity, enhanced monitoring and inspections, and the opening up of its program to international partnership and investment. All Iran asked for before it accepted these stringent terms was the acknowledgement of its inalienable right to a peaceful nuclear program, and full domestic control of the nuclear fuel cycle, including uranium enrichment. "Enrichment is our fundamental right, but we can negotiate to what degree, dimension, and other things," said Iranian Foreign Minister Mohammad Javad Zarif on November 8, 2013 in Geneva, during the initial talks that led to the interim agreement later that month. Beyond this, a blockbuster report by Al-Monitor's Laura Rozen, published on August 11, reveals that Iran was already open to and engaged in direct talks with the United States before some of the most "effective" sanctions were in place. 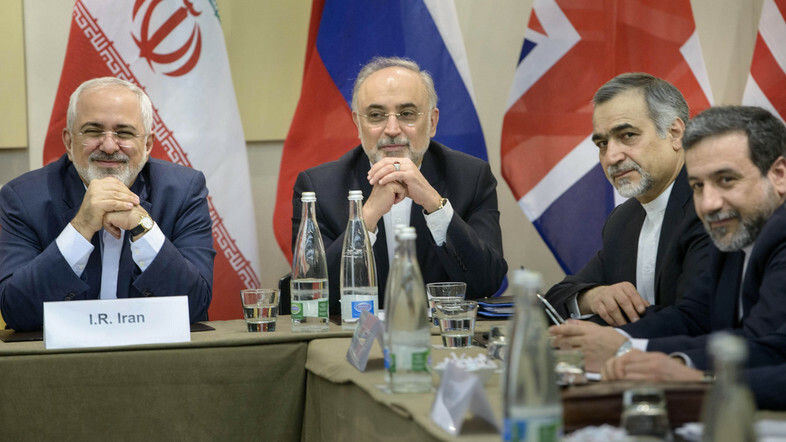 The scoop details the four-year, behind-the-scenes journey of Iranian and American officials to reach the historic July 2015 accord. While nuclear negotiations only made rapid progress after Rouhani came into office in August 2013 and tapped Mohammad Javad Zarif as his foreign minister and top nuclear negotiator, it is perhaps less well known that Iran's hard-line Supreme Leader Ayatollah Ali Khamenei authorized secret talks with the United States on the nuclear issue two years earlier, in 2011, at the urging of Oman's Sultan Qaboos as well as [former Iranian Foreign Minister Ali Akbar] Salehi. At the time, Mahmoud Ahmadinejad was still in office, thus debunking the myth that diplomacy was only explored once Rouhani was elected two years later in June 2013. Moreover, Rozen's fascinating scoop points out that, even after the imposition of the harshest sanctions by both the United States and European Union, the Iranians weren't simply begging for relief by relinquishing their rights; rather, the process was slow and deliberate, even stubbornly so. The idea that sanctions "forced" Iran to finally relent to engage diplomatically, let alone capitulate or concede anything, is a fallacy. 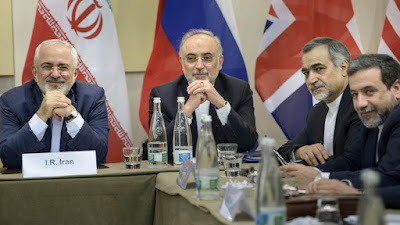 Rozen writes that "even after Khamenei consented to direct US-Iran negotiations on the nuclear issue in 2011, it took almost a year before a preparatory meeting occurred, mostly due to divisions within the Iranian side," according to Salehi. Following one July 2012 meeting, Rozen adds, "preparatory discussions subsequently paused for several months for the 2012 US presidential elections." Early into Obama's second term, "a more significant, three-day US-Iran meeting was held in Oman," reports Rozen. "At the March 2013 Oman meeting, then-Deputy Secretary of State William Burns conveyed a message from Obama that he would be prepared to accept a limited domestic enrichment program in Iran as part of an otherwise acceptable final Iran nuclear deal, Al-Monitor reported in July 2014." Still, the Iranian diplomats were "in a 'fact-finding' listening mode and apparently not prepared to enter into serious negotiations at that point, former US officials said... Another meeting was apparently scheduled for May, but the Iranians backed out, in anticipation of their June presidential elections." The Oman channel was about seeing if the United States and Iran could reach an understanding on the enrichment issue to advance a nuclear accord, Philip Gordon, the former top Obama White House Middle East official, said. "I think the basic question in Oman was to explore whether, if the US and others accepted some limited and highly constrained and monitored degree of Iranian enrichment, Iran would address our other concerns to ensure paths to a weapon [are] blocked," Gordon told Al-Monitor Aug. 10. "And in the end, that's how it turned out." For ten years, United States routinely prevented progress in diplomacy to end the nuclear stalemate, refusing to acknowledge Iran's national rights and holding firm to the position that Iran not be allowed to enrich uranium domestically. Obama's realization that this was a failed policy, not the "crippling sanctions," is what led to successful negotiations. This was always the issue, and until it was resolved - in Iran's favor - diplomacy was never going to progress. With hindsight, that offer should have been snapped up. It wasn't, because our objective was to put a stop to all enrichment in Iran. That has remained the West's aim ever since, despite countless Iranian reminders that they are unwilling to be treated as a second-class party to the NPT – with fewer rights than other signatories – and despite all the evidence that the Iranian character is more inclined to defiance than buckling under pressure. Despite Jenkins' revelation and his clear warning not to repeat the mistakes of the past, it took the Obama administration another 14 months to drop "zero enrichment" as the central tent of its belligerent and ineffectual Iran policy. The ineffectiveness of sanctions was long known. As far back as December 2004, George W. Bush admitted that the United States didn't "have much leverage with the Iranians right now" and was "relying upon others, because we've sanctioned ourselves out of influence with Iran." Meanwhile, Iran's insistence on the affirmation of its rights has never wavered. "In the nuclear issue, Iran only wants the world to recognize its right to enrichment, which is Iran's natural right," Iranian leader Ali Khamenei said during a March 2013 speech in the northeastern Iranian city of Mashhad. "If the Americans truly want to resolve the nuclear issue with Iran, the solution is easy," he declared, "They should acknowledge Iran's right to enrich uranium for peaceful purposes." In September 2013, soon after his inauguration, President Rouhani insisted, "We will never forgo our…intrinsic right to a peaceful nuclear program, including uranium enrichment," adding that "no amount of pressure, arm-twisting, threats and sanctions will cause Iran to abandon this right." The same month, Foreign Minister Zarif told ABC News' George Stephanopoulos that Iran's "right to enrich is non-negotiable." Ali Larijani, speaker of the Iranian parliament, told Christiane Amanpour in October 2013, "If the Americans and other countries say that Iran should not develop a nuclear bomb or should not move towards that, then we can clearly show and prove that. We have no such intention. So it can be resolved in a very short period of time," adding, "The important thing is that Iran insists on having access to the peaceful nuclear technology and Iran is not going to change its mind. They claim that Iran may have the intention to move towards developing a nuclear weapon but we can assure them that we are not moving towards that direction," Larijani said. Indeed, after the interim agreement was reached in November 2013 and as talks continued apace, former IAEA director-general and Nobel laureate Mohamed ElBaradei noted, "It took the West a decade to realize that bare-knuckle competition for regional influence was not a viable strategy for dealing with Iran. The recent interim agreement, facilitated by [Iranian president Hassan] Rouhani's low-key diplomacy, could have been reached 10 years ago." President Obama himself even admitted the limitations of sanctions and the futility of trying to force total Iranian capitulation and subjugation. Earlier this year, on April 2, 2015, Obama delivered an update on continuing nuclear negotiations in a speech from the White House Rose Garden. "Iran is not going to simply dismantle its program because we demand it to do so," Obama finally confessed. "That's not how the world works. And that's not what history shows us. Iran has shown no willingness to eliminate those aspects of their program that they maintain are for peaceful purposes, even in the face of unprecedented sanctions." So, think we can we finally put these myths to rest once and for all?